Maine Inn Broker of Inns, Bed and Breakfasts, motels, educating inn buyers and sellers: February's e-newsletter...what's happening in the hospitality industry? February's e-newsletter...what's happening in the hospitality industry? 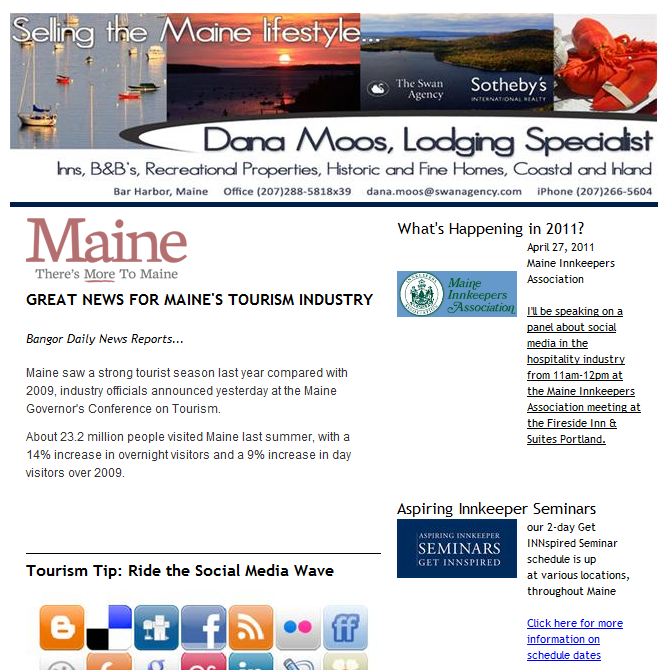 What's happening in Maine's tourism, social media and hospitality industries? Check out my new monthly e-newsletter for 2011 and keep up with the news.